Goralu Czy Ci Nie Zal Plate - Highlander Do You Not Regret.. The first stanza to the best known Polish Mountaineer song. Size is approx 14.5" in diameter. 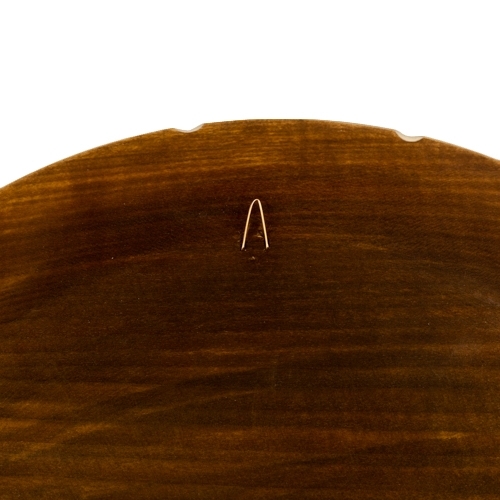 Hanger on the back. Ready to hang. 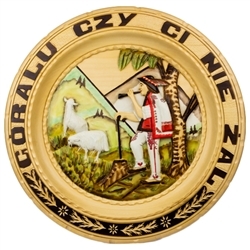 This beautiful plate is made of seasoned Linden wood, from the Tatra Mountain region of Poland. The skilled artisans of this region employ centuries old traditions and meticulous craftsmanship to create a finished product of uncompromising quality. This plate is entirely decorated by hand, using various combinations of carving, burning, and staining techniques. Hand painted.